Letter: Why all the gun shows in God’s Utah? 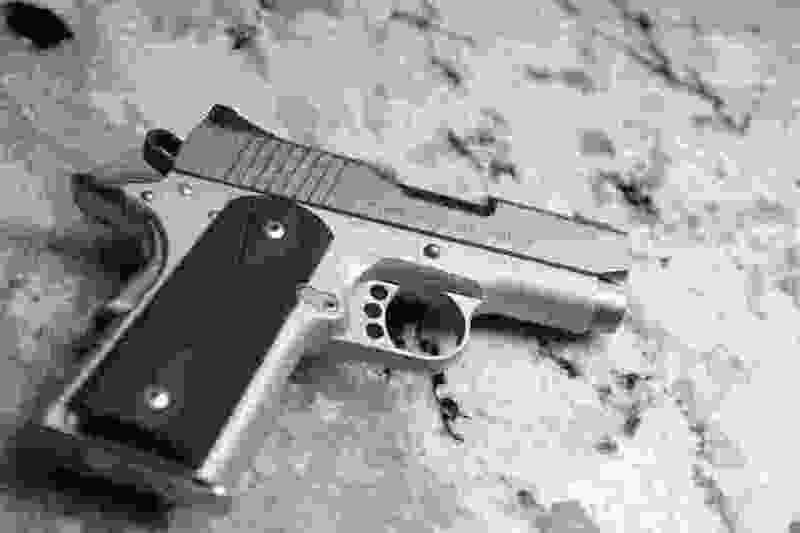 (Leah Hogsten | Tribune file photo) A Kimber .9mm pistol. Why does The Church of Jesus Christ of Latter-day Saints, which they proclaim is the only true church of God on Earth, and the LDS Legislature, not favor any gun control? Why do they allow “gun shows” in our state and advertise this event again right now with billboards along I-15? The next gun show will be on April 6-7 at the same time as the LDS Church’s worldwide conference. All the conference visitors from all over the world can see what this “God”-controlled state of Utah stands for. The prophet speaks for God, right, but when it comes to gun control, he’s as silent as the grave. The NRA: Guns don’t kill people; people kill people. Common sense: People with guns kill more people than people without guns.